Although the value of sports is to teach children the importance of teamwork and discipline, there is one concern that has some parents quite nervous: sports injuries. Sprains, broken bones, and concussions are some of the most common sports injuries that young athletes face and according to the Centers for Disease Control and Prevention, most sports-related injuries are preventable. Here are a few tips to keep your all-star athlete injury-free this season. 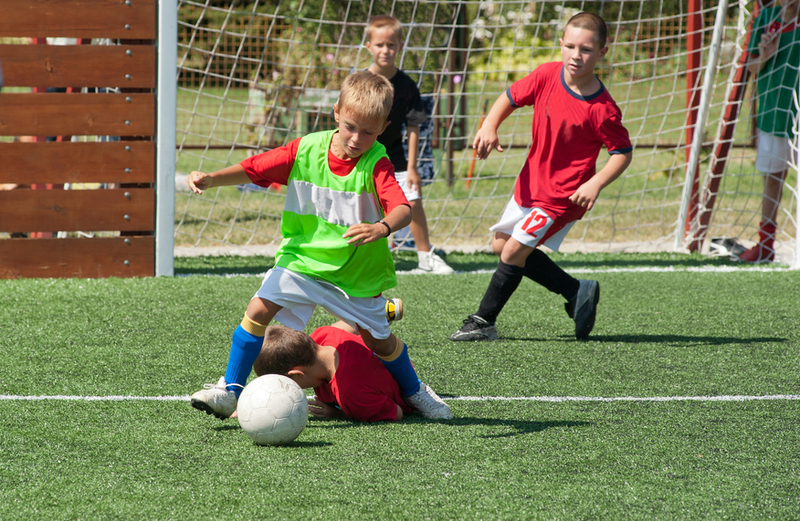 If your child has a history of injury, then it’s a good idea to schedule a sports exam before sign-ups. Without proper treatment, many athletes are more prone to re-aggravate a previous injury, which may lead to more serious damage or chronic problems in the future. A sports physical will not only determine if your child is at an increased risk for sports injury, but a doctor will also be able to recommend preventative strategies that can rehabilitate old injuries so they don’t become problematic. Many sports injuries occur from not properly stretching before and after play. Because a child’s body is still growing, adequate stretching is imperative to reducing the risk of injury. You can encourage a pre-game warm-up by simply explaining to your child how stretching provides a greater range of motion and, therefore, enhanced performance. A warm-up run and a stretch routine that includes going through the same motions made in the game will lower your child’s risk for injury. Active children who play sports every day need plenty of rest to allow time for their muscles and connective tissues to repair themselves. Pushing children to play sports when they feel intense fatigue or pain is especially dangerous, and may increase their chances of injury. Encourage your child to take frequent breaks and to drink plenty of fluids when playing sports. Purchasing proper safety gear and or repairing old equipment will greatly reduce your child’s risk for sports related injuries. According to Wexner Medical Center at Ohio State University, roughly 3.5 million children are injured from sports each year, and half of those injuries can be prevented by using proper safety equipment. To ensure your child’s safety when playing sports, a parent or coach should inspect all equipment for proper fitting or possible damage before use.